Well designed and reliable hot water and steam cleaning machine. 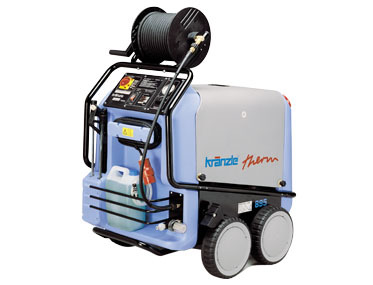 Want to see the Kranzle Therm KTH895 in action? 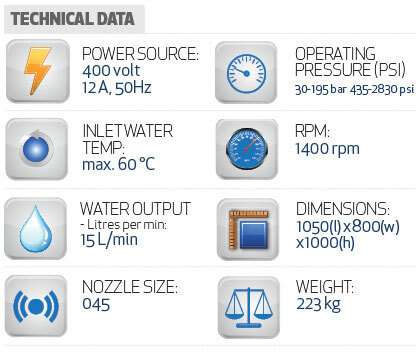 Top of the range 400V Hot Water high pressure cleaner in terms of safety, performance, reliability and low cost of operation. Designed and built to outlast and outperform anything else. Standard features include Total- Stop automatic control system with delayed motor cut-out, optical flame monitoring, low fuel cut-out, hour meter, adjustable burner performance, thermal overload switch, thermostat regulation ˚C, 4-way safety system and built in park brake. 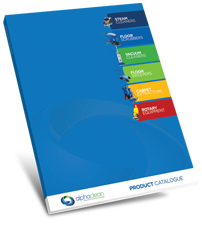 Ideal for regular use in applications like heavy machinery, transport and manufacturing plants.